These heavyweight pointed soft-point (PSP) rounds from Fiocchi will be an excellent companion to your favorite hunting rifle chambered in the ever-popular .243 Winchester. 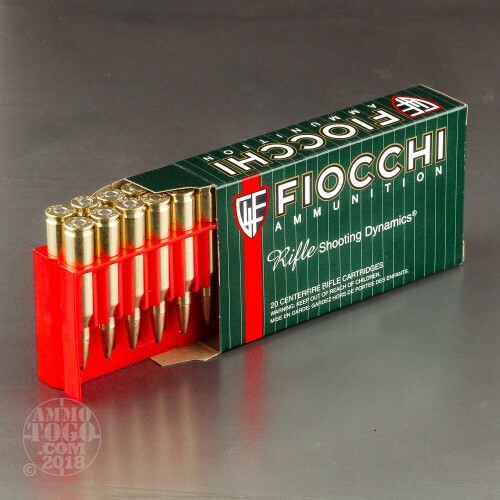 Each of these cartridges utilizes a clean-igniting Boxer primer installed into a reloadable brass casing that houses a precisely measured powder charge. Topping off the round is a 100 grain PSP bullet with an exposed lead tip that has been reshaped for optimal drag resistance. 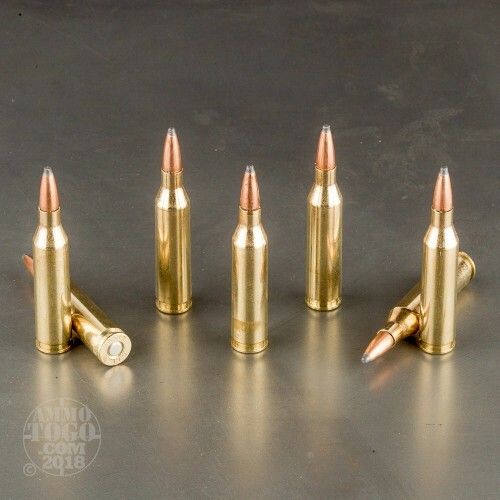 The 100 grain weight hits with considerable terminal effect which is ideal for taking deer and black bear. During entry into a target, the PSP projectile begins expanding at a controlled rate which causes the bullet to yaw while slowing which prevents over-penetration. The bullet's toothed cannelure locks its copper jacket to its lead core which keeps the bullet in one piece for game-dropping energy transfer. This same cannelure also keeps the bullet secured its crimp under recoil which preserves consistent accuracy with every trigger pull. 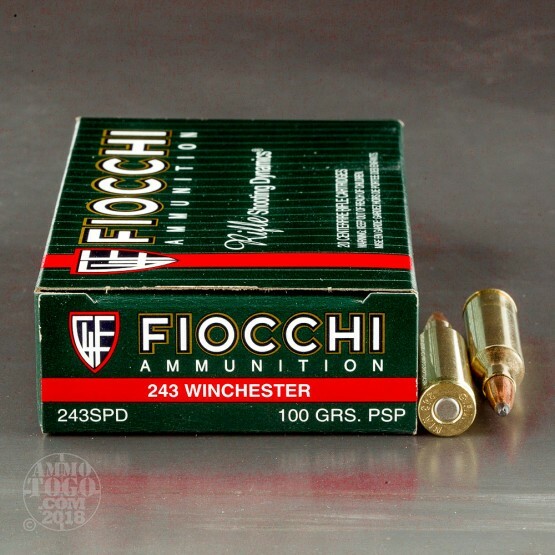 Fiocchi is an Italian manufacturer with over a century of experience manufacturing domestic sporting cartridges as well as export calibers. 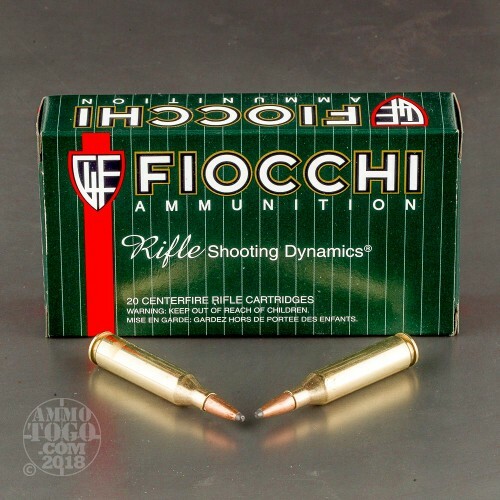 They are well-connected to firearms companies and competitive shooters all over the globe and use their knowledge to keep ammunition updated and efficient.